Homemakers are always looking to refresh their favorite spaces, and given that the kitchen is the heart of the home it usually lands at the top of the list. We tend to spend a lot of time in our kitchens, between cooking weeknight dinners and hosting gatherings of family and friends. Keeping our kitchens updated, functional, and stylish might be more important than any other room in the house. 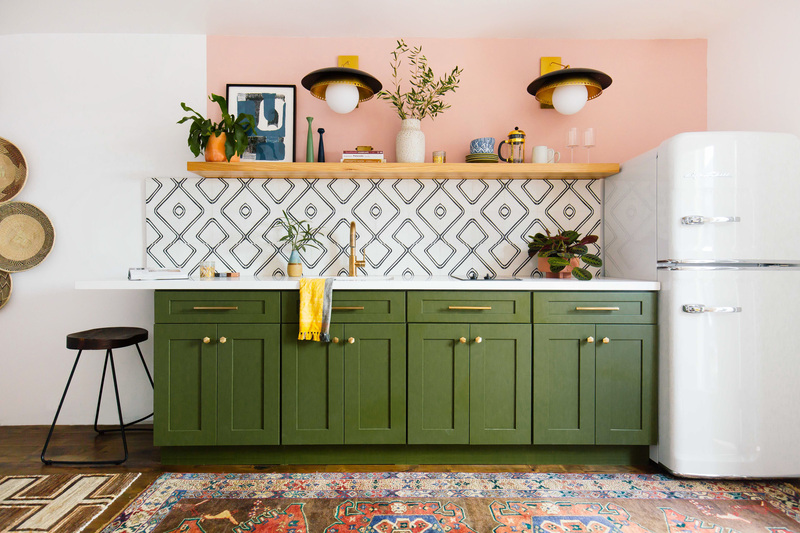 Whether you need to get inspired for a simple refresh or are planning to remodel your entire kitchen, there are a crop of design trends to consider for 2019 and the years to come. First, ask yourself what's missing from your current kitchen design, and what you would like to see eliminated? Sometimes all we need is a little inspiration to create a big fix, and sprucing up a stale kitchen might be the push you need toward creating a year full of exciting possibilities. Whether it's the addition of a new appliance, or even just a few new accessories, a small change to your kitchen can be uplifting and motivating. In 2019, kitchens feature color accents on all surfaces, from backsplashes, cabinets, appliances, and fabrics. 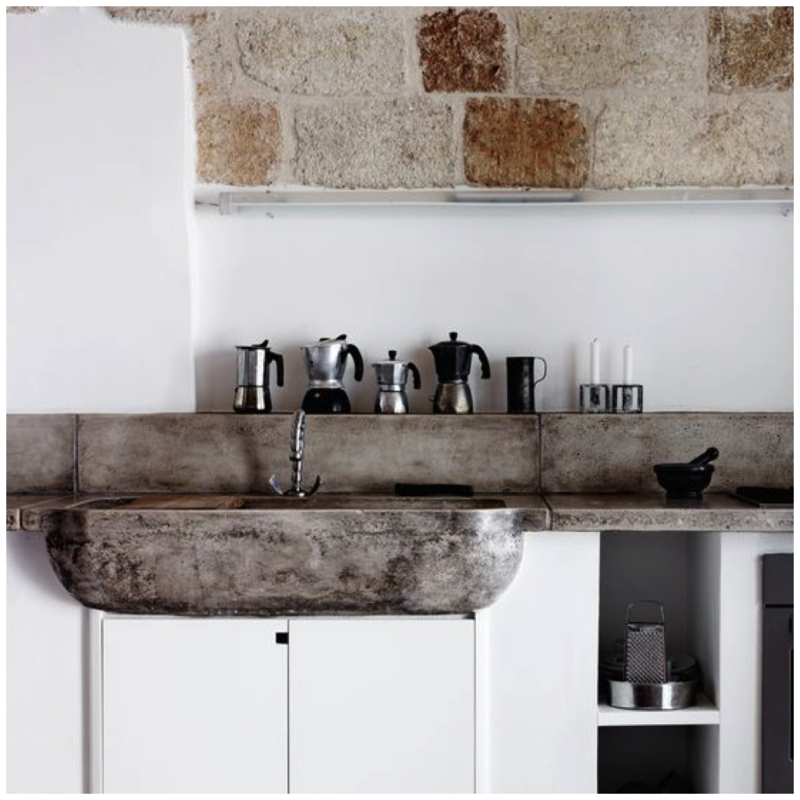 Raw elements inspired by Mother Nature are commonly incorporated into kitchen design, with wood and stone materials being used to create rustic appeal. Cabinets feature minimal hardware and open shelving is still at the top of the trends. Retro and modern design are also friendlier than ever, creating a pairing that blends the best of the past and future into one. Let's freshen things up! 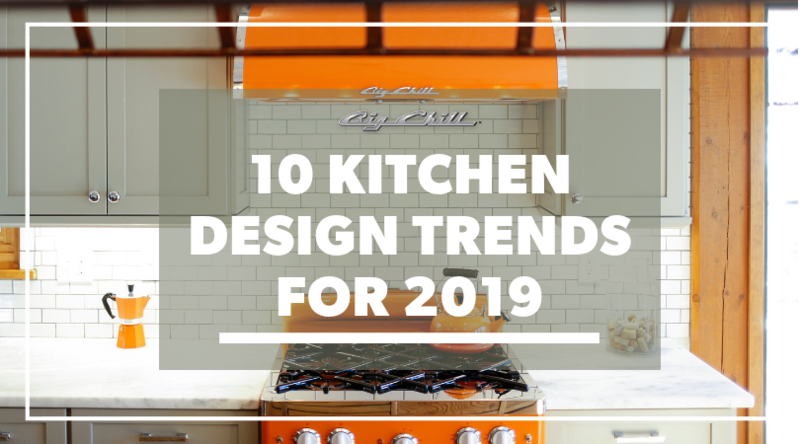 Here are 10 Kitchen Design Trends for 2019. 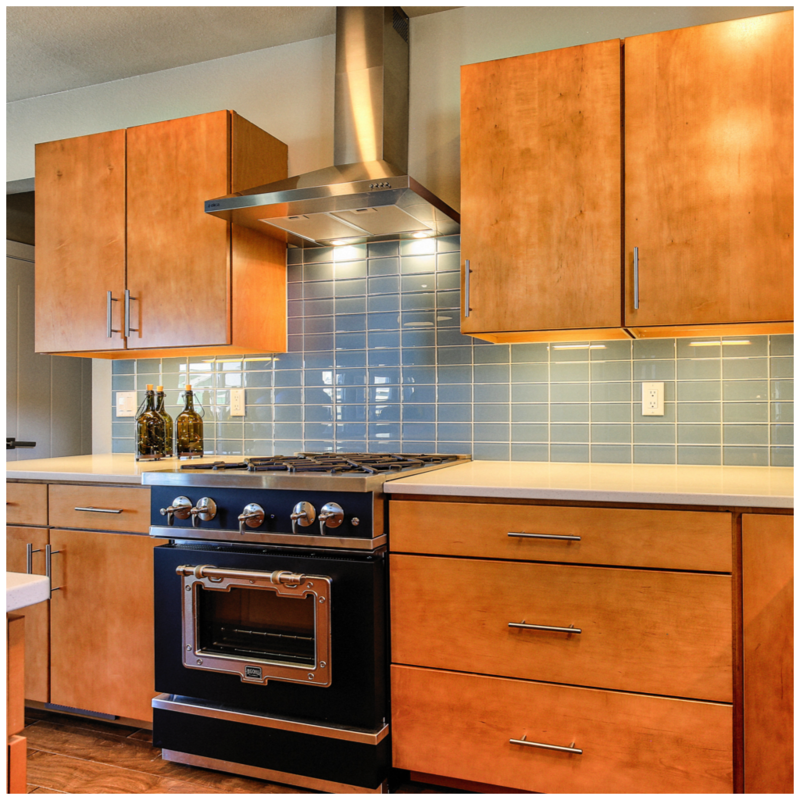 Although many retro designs have proven themselves to be timeless, vintage style is making a comeback in kitchen design. 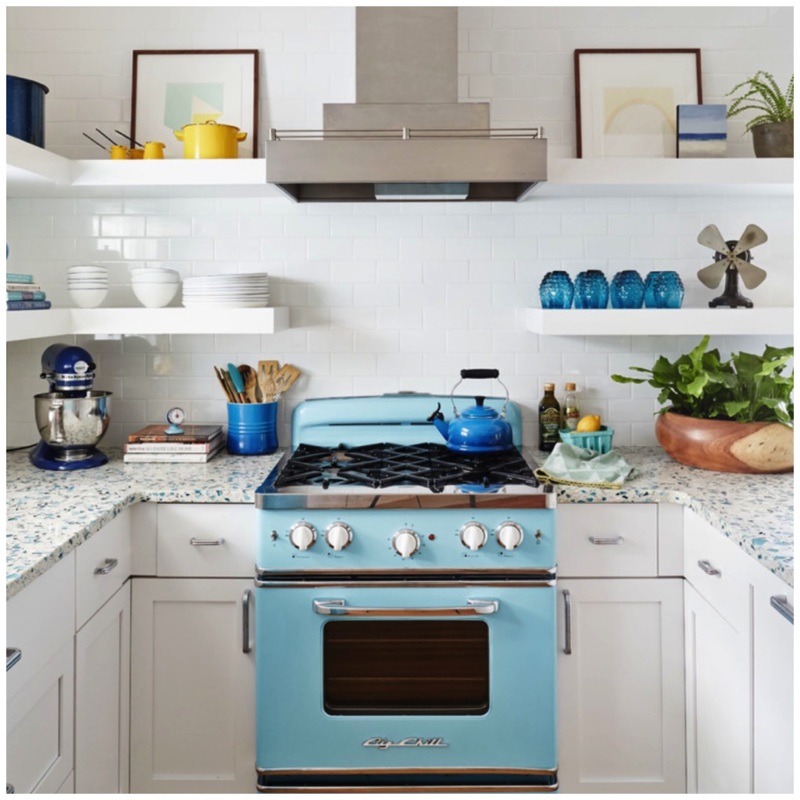 Retro appliances are at the top of the list, with people craving the charming aesthetic of retro design without the hassle of vintage technology. 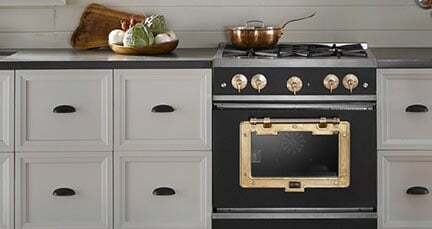 HGTV.com mentioned Big Chill in their article 12 Hot Kitchen Appliance Trends, stating that retro design is hot in the current market of kitchen trends. 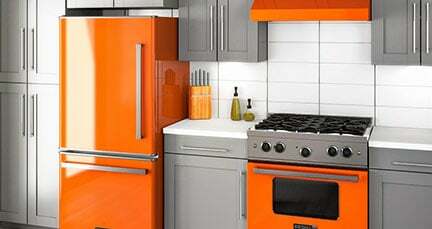 Retro appliances were not only sturdy but were also typically offered in eye-catching colors. 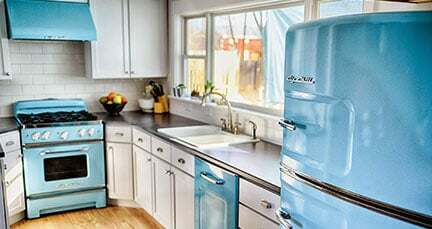 Big Chill Retro appliances feature nine standard colors and over 200 customizable shades. 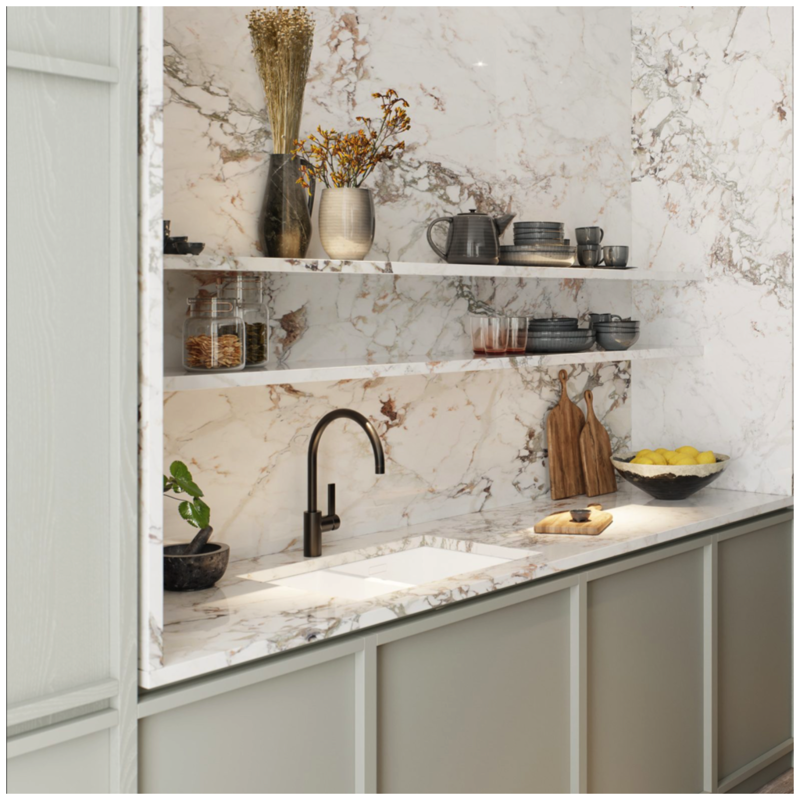 Kitchen backsplashes have long been popular in kitchen design, but are predicted to make an even bigger statement in 2019. While traditional kitchen backsplashes might feature a few tiles behind the kitchen sink, designers are now commonly extending tile all the way up to the ceiling. Colorful and complex tiles are also making a splash in kitchen trends, providing fun patterns that add instant personality. Using a backsplash behind your kitchen sink or stove adds visual interest and texture to any kitchen. 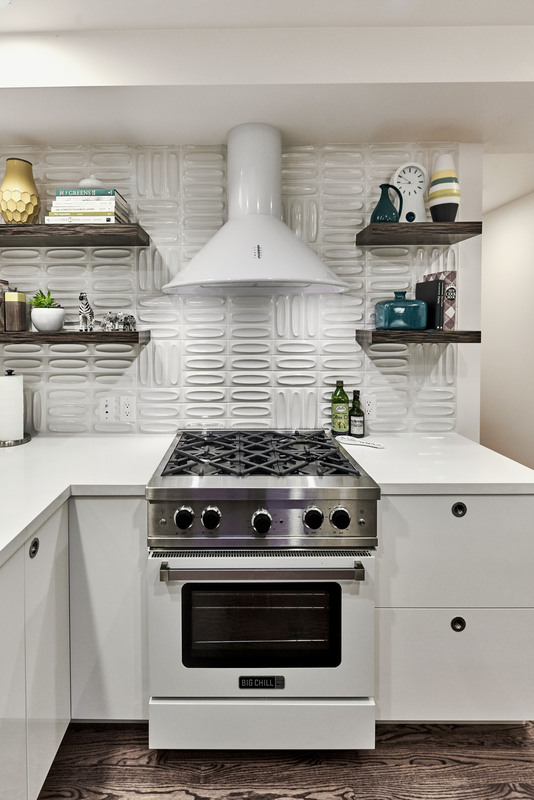 When it comes to a backsplash, your creativity knows no bounds. 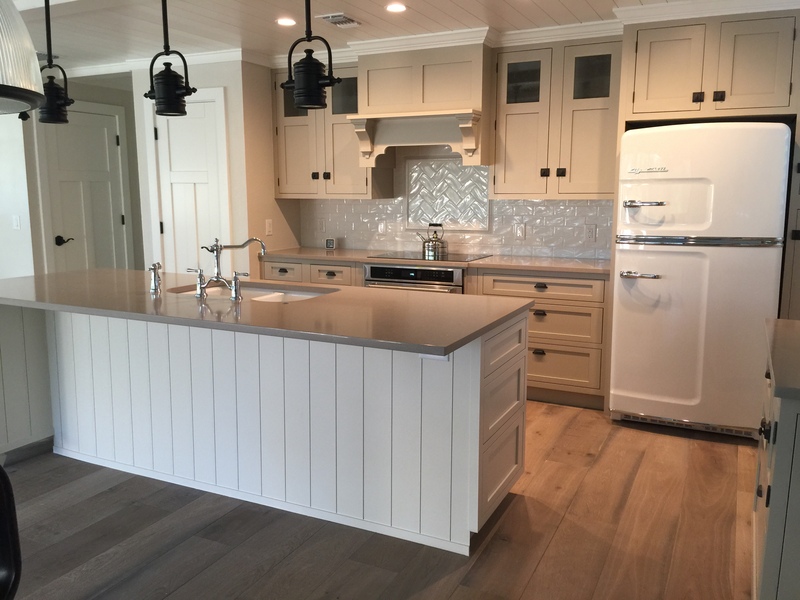 Polished nickel hardware has arrived on the kitchen design scene for 2019, featuring a finish with a timeless appeal. 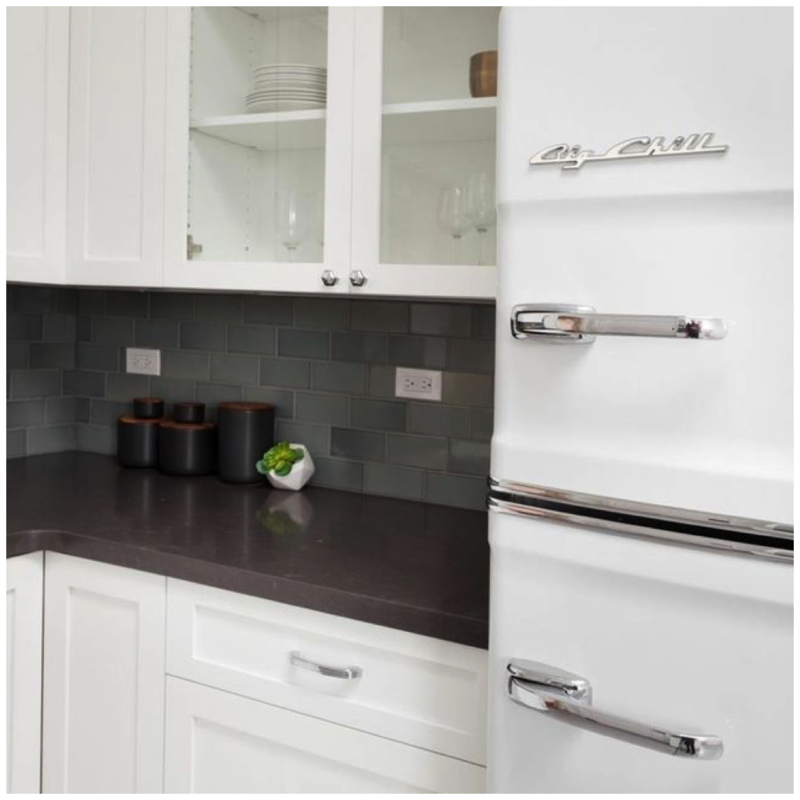 Polished nickel is warmer in tone when compared side-by-side with polished chrome, giving it texture and depth that flatters a variety of surfaces. 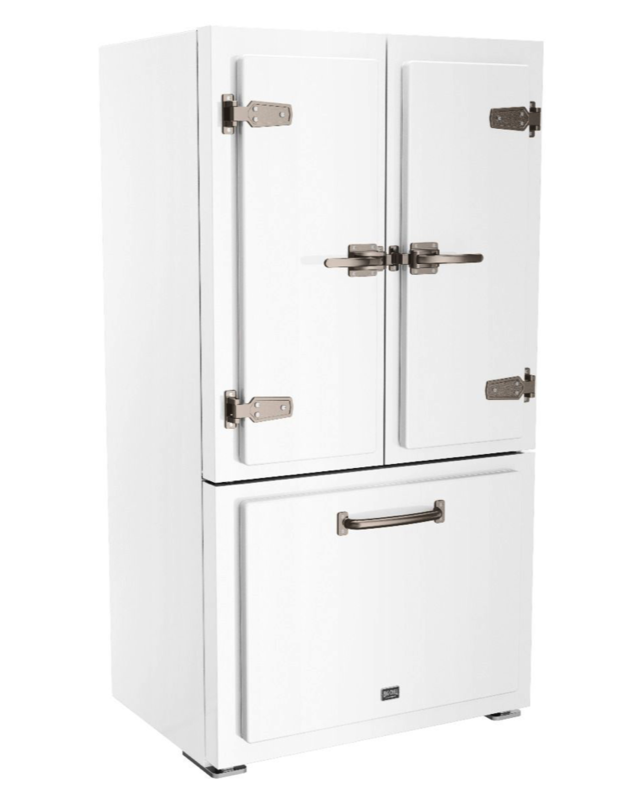 Big Chill Classic Fridge and 30" Classic Stove featuring a Satin Nickel finish. 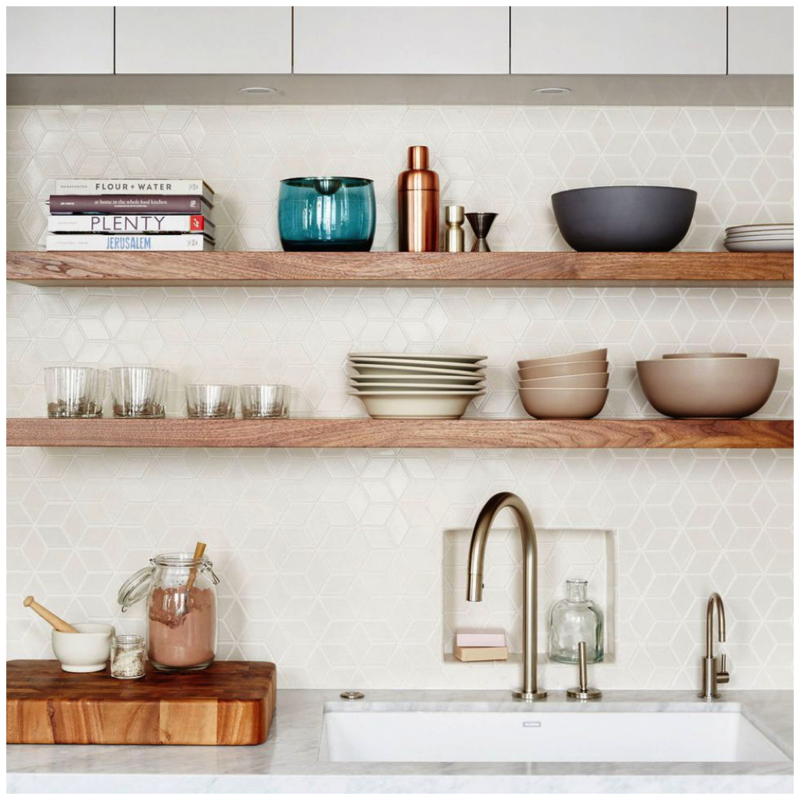 Open shelving has become more and more popular on the kitchen design trend over the last few years, creating an open aesthetic that puts your glassware and dishes on display. 2019 kitchen trends will see open shelving created with wood, metal, or glass materials. This adds to the bold statements that many want to make in their homes, creating open shelves in your kitchen for you to add all of your favorite accessories that best represent your style. The use of wood in your kitchen creates a welcoming and calming environment, with a timeless versatility that will forever flatter any space in your home. In 2019, people are increasingly seeking connections for nature, and there is a growing desire for lighter, airier spaces in kitchens and in homes. Incorporating wood into your kitchen design will give it a timeless appeal that combines nature and nurture together. 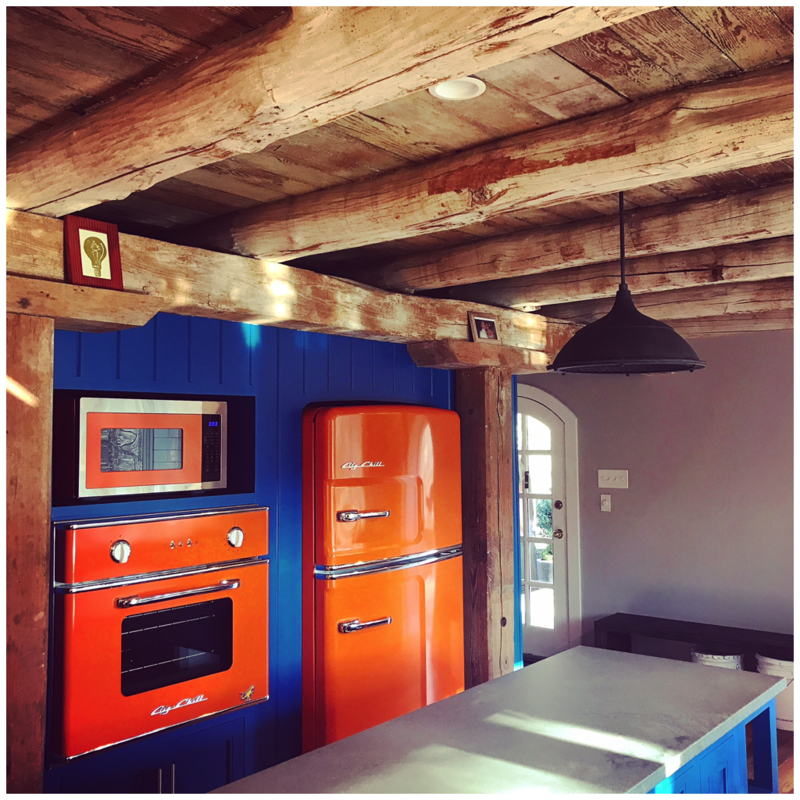 Colorful cabinets are commonly being incorporated into kitchen design, making a statement that is bold enough to create an entire mood for your kitchen. 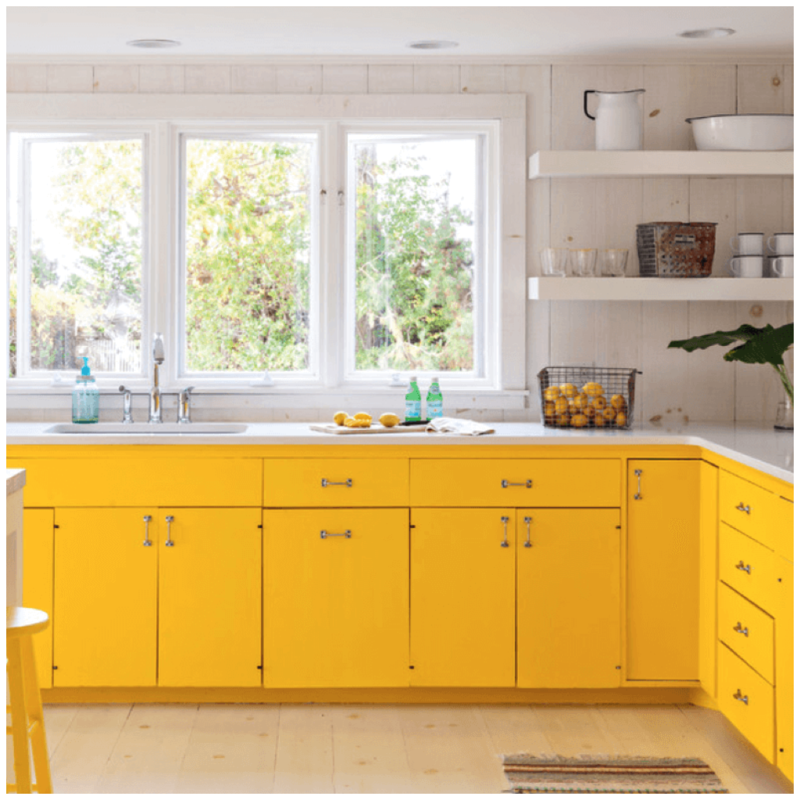 Colorful cabinets are trending in 2019, with popular shades ranging from pastel gray to vibrant coral. 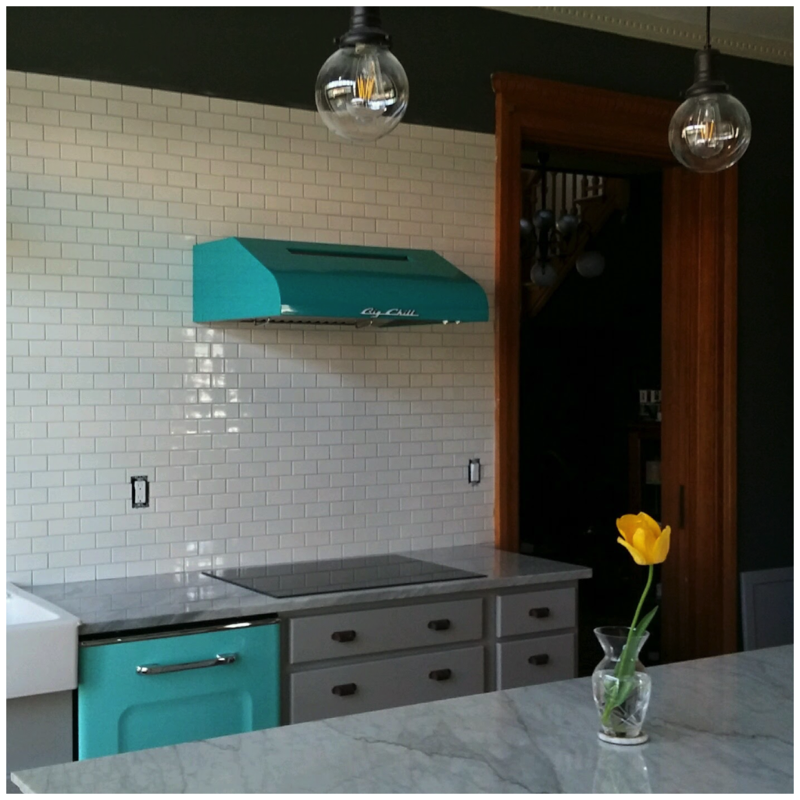 Colorful cabinetry is beautifully paired with fixtures in contrasting metals, like brushed brass and other contrasting metals. 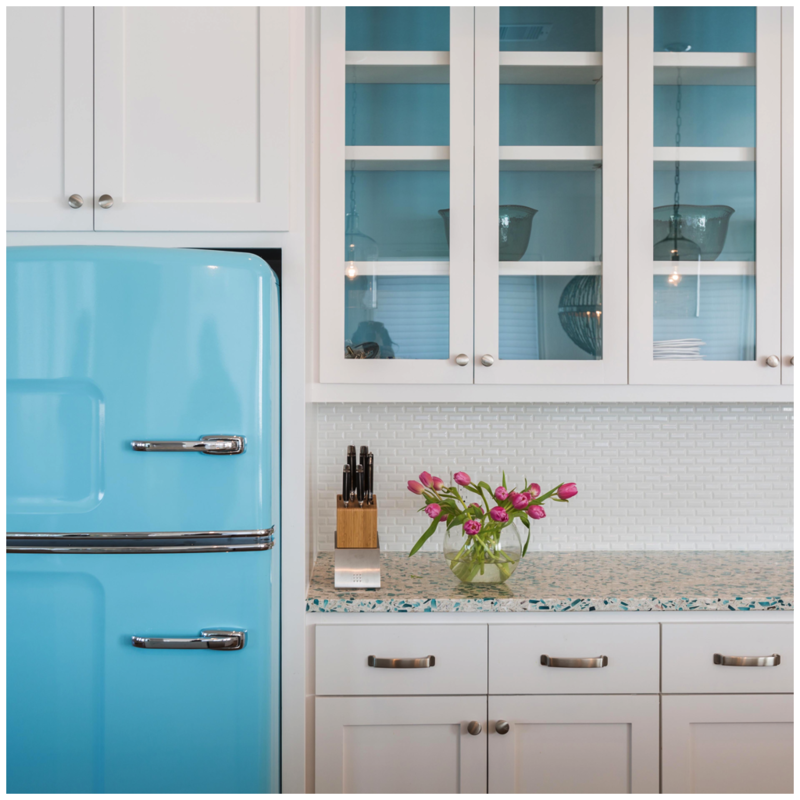 Pair colorful cabinets with a crisp white appliance for an appealing and classic contrast. 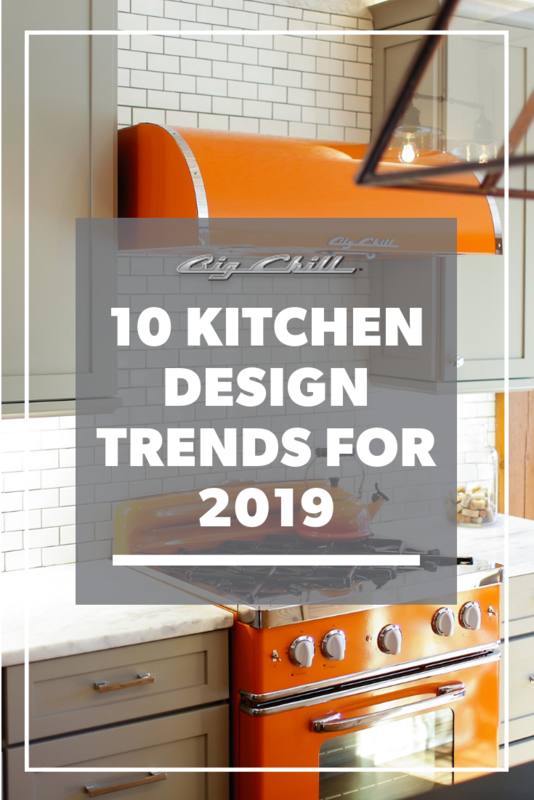 In 2019, kitchens that combine a mix of retro and modern appeal will be at the top of the current design trends. 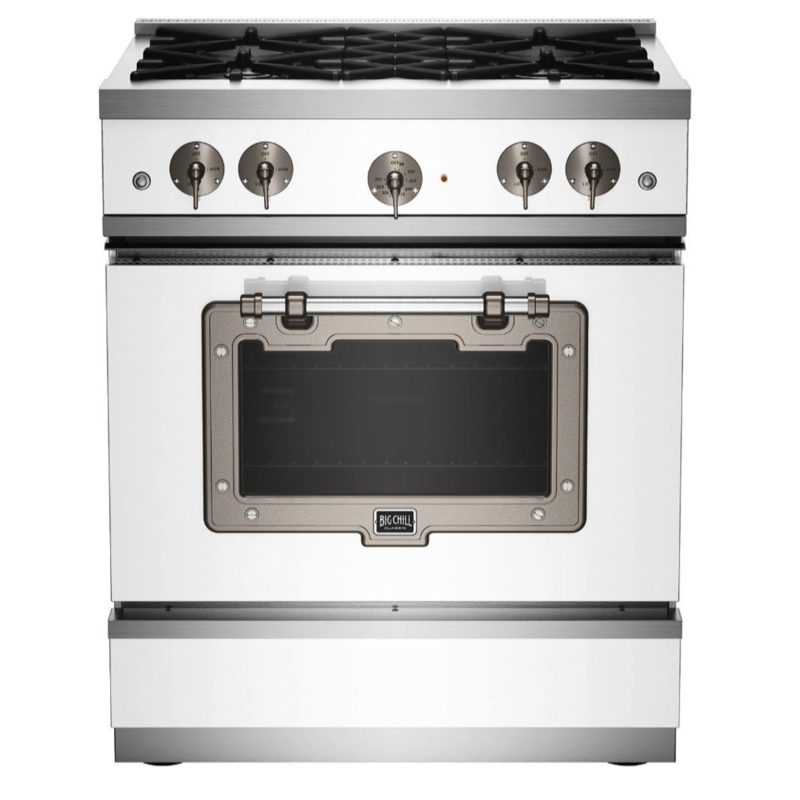 People want kitchens that feature modern amenities but don't want kitchens that feel space-aged and cold. Kitchens are the heart of the home and people want their kitchens to feel warm and welcoming. Combining retro and modern design creates the perfect balance with a nod to the past and an outlook toward the future. Modern kitchen design in 2019 will be about going back to the basics, allowing raw materials to shine on their own and Mother Nature to take center stage. Materials like stone, wood, and jute will be commonly used to create a rustic appeal in the new year. 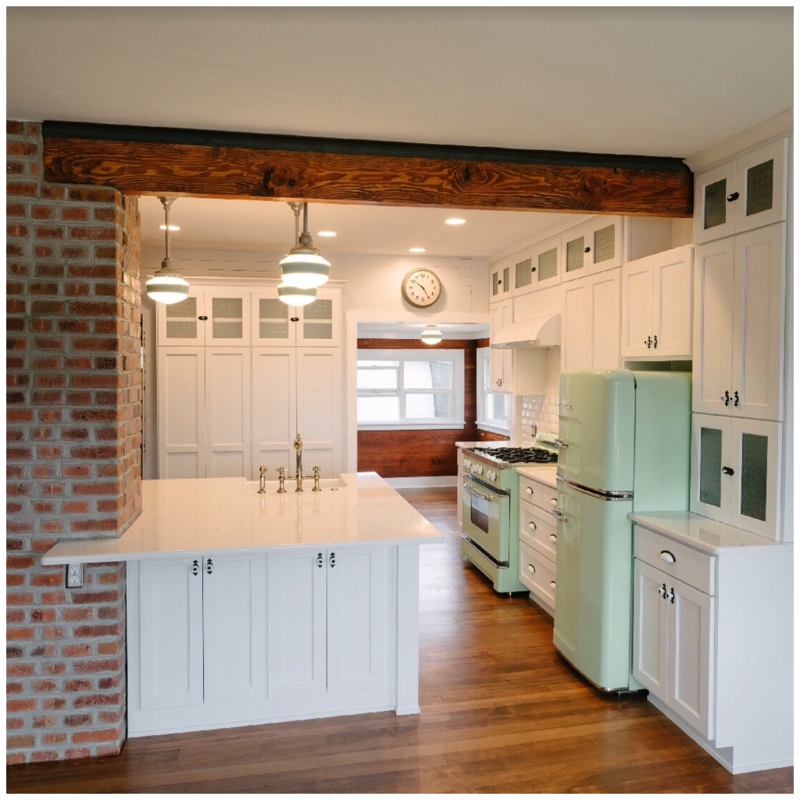 Expect to see kitchens that use stone and wood beyond countertops, continuing the materials to create backsplashes, drawer fronts, sinks, and ceiling beams. 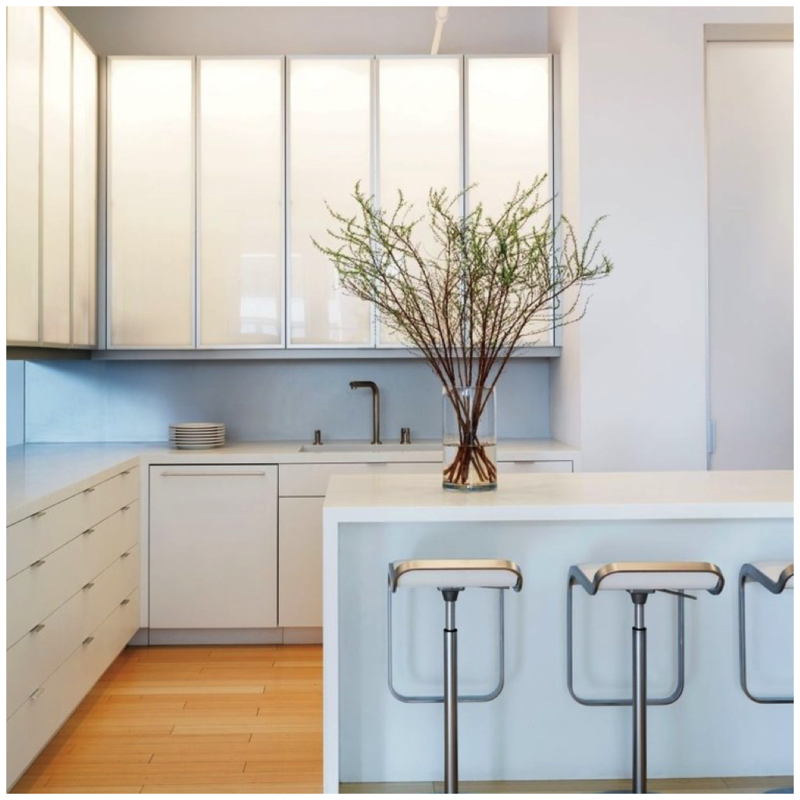 Continuing with the clean minimalist trend, kitchens in 2019 will feature less cabinet hardware and more "no-hardware" designs. Recessed pulls and touch-latch drawers deliver a clean look that plays up the beauty of the cabinet, resulting in an interrupted expanse on cabinet drawers and drawer fronts. 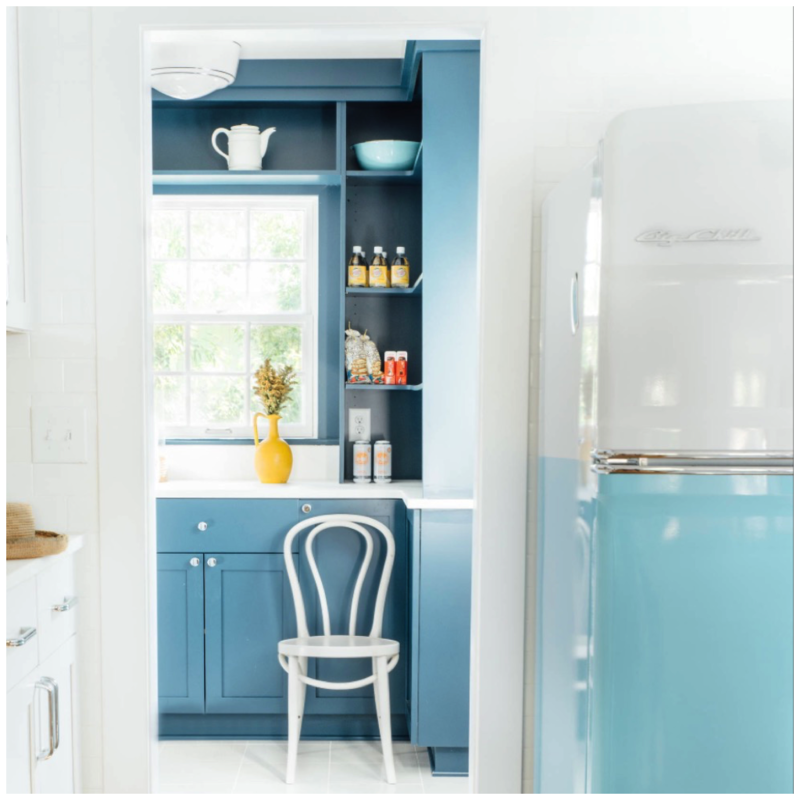 2019 kitchens feature at least one pop of color, and colorful upholstery can be the solution for those who are looking for a smaller commitment. 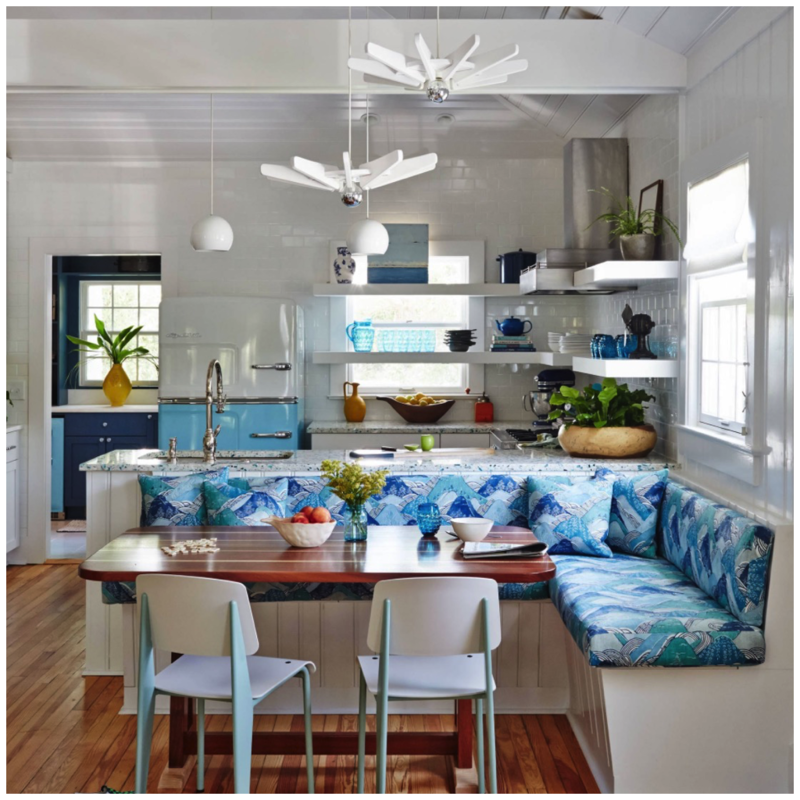 Colorful upholstery is versatile and interchangeable but can be just the pop of color needed to give your kitchen personality. Furnish barstools in colorful prints and patterns, or invest in dining room chairs in bright colors and fabrics.